Time to celebrate the annual change of seasons. 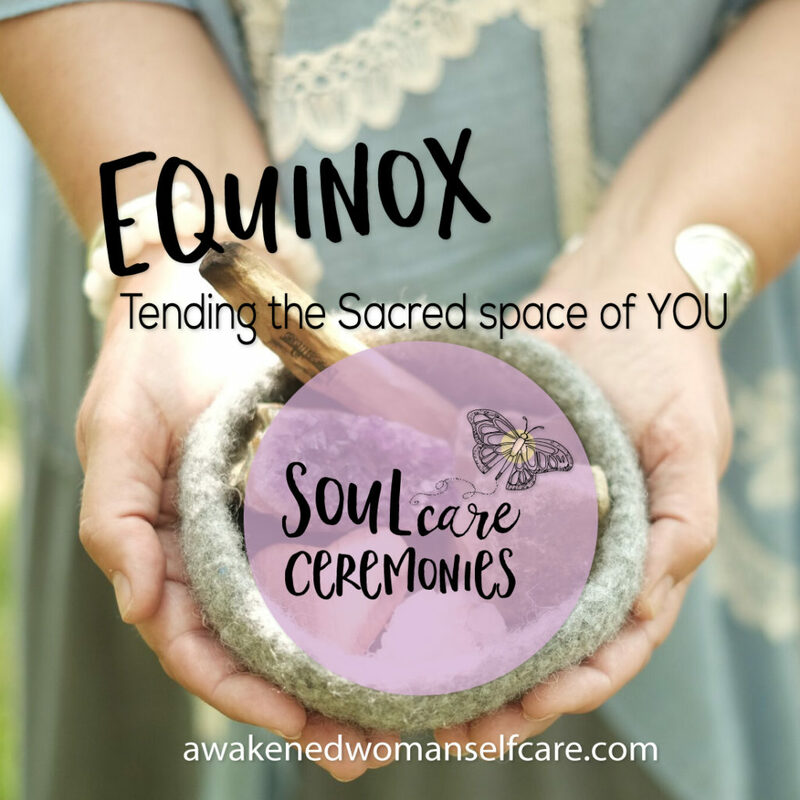 I’m honored to be a featured guest on the Awakened Woman Self Care Equinox Soul Care Ceremony. Christine Pensa and Emma Kapu Mitchell have put together a fabulous offering, including some of my astrological insights, a guided meditation by Christine and a crystal bowl meditation by Emma. A true value at $18. Click on the image for more information. “The word Equinox is defined as equal night and equal day. For me this is a call to rest in the middle, the still point, in order to move forward in a way that is most nourishing. The Equinox or harvest time has traditionally been a time of celebration and pause as the land and its inhabitants turned inward to rest and restore. Mostly, in our world we ignore this natural call, but what I know, is that it is more important than ever to stop and really listen. There is so much energetic change happening right now. The seeds you might have planted last year, are not the ones that you will need to thrive next spring. You and me—if only we choose it—are going to be planting new kinds of seeds. We are birthing or creating new pathways. We have the opportunity to create what has never been before. The only catch? It can’t be done from a place of motion.